We are at 410 West Beverley Street, Staunton, Virginia. On-street parking is available on Beverley Street, Washington Street, and St. Clair Street. Parking lots are also available on Beverley Street directly across from the church, at the corner of Beverley and Washington Streets, and behind the church accessible from St. Clair Street. 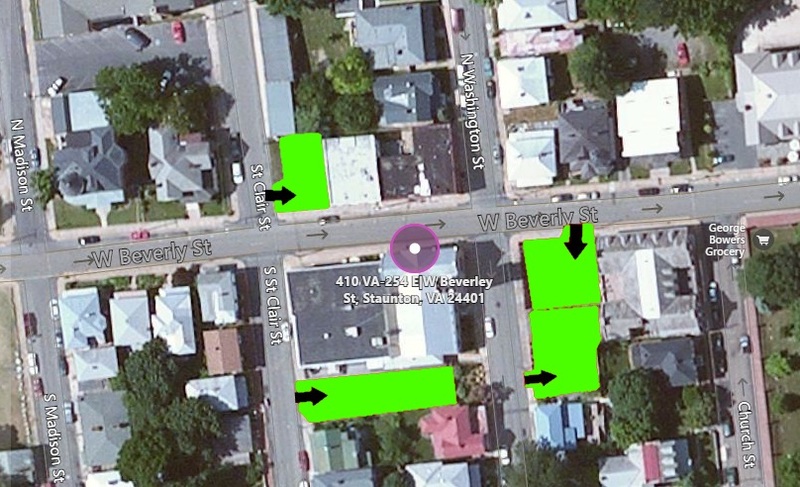 In the graphic below, parking lots are in green, black arrows indicate parking lot entrances.